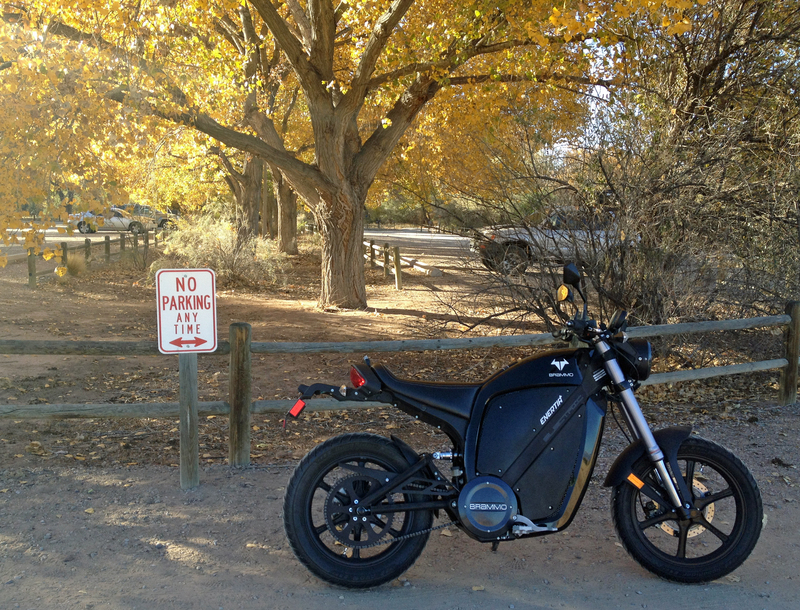 Blog 55: I decide to join Brammo on their Friday Afternoon Ride…well not in Ashland…That is FAR…But I went on my own little Friday Afternoon Ride. 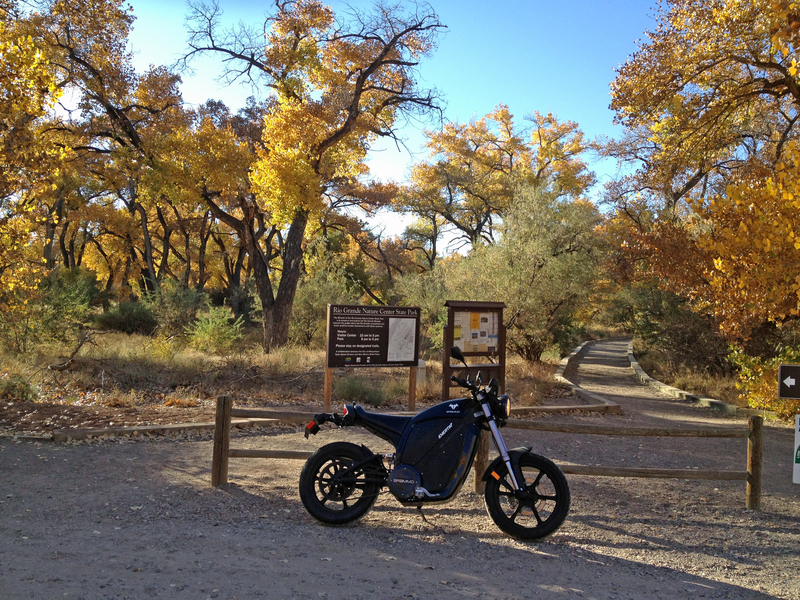 Every Friday (or most Fridays) Brammo goes on group rides from the Brammo Headquarters in Ashland, Oregon. 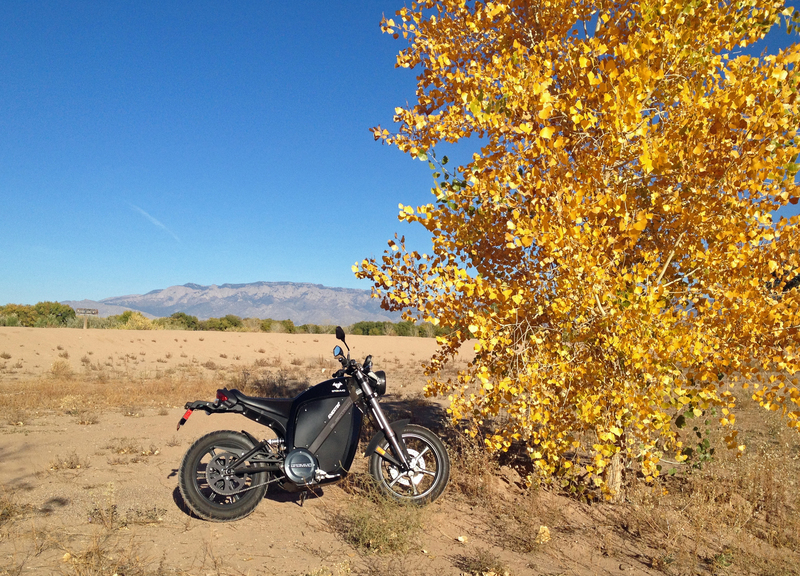 Well it was a beautiful fall Friday here in Albuquerque and work was a bit slow…..So I said goodbye to the Hospital and jumped on the Brammo Enertia Plus and hit the streets of Burque. 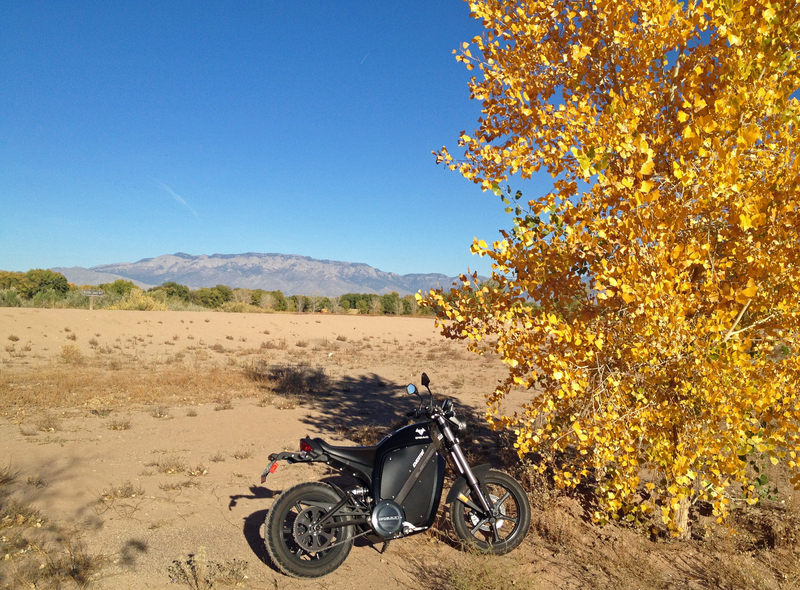 I just missed the leaves changing on my ride to the top of the mountain (seen in last weeks blog post: HERE) …but they are just starting to change down by the Rio Grande…so that was my destination. And I have some photos (surprising I know) and video to share. 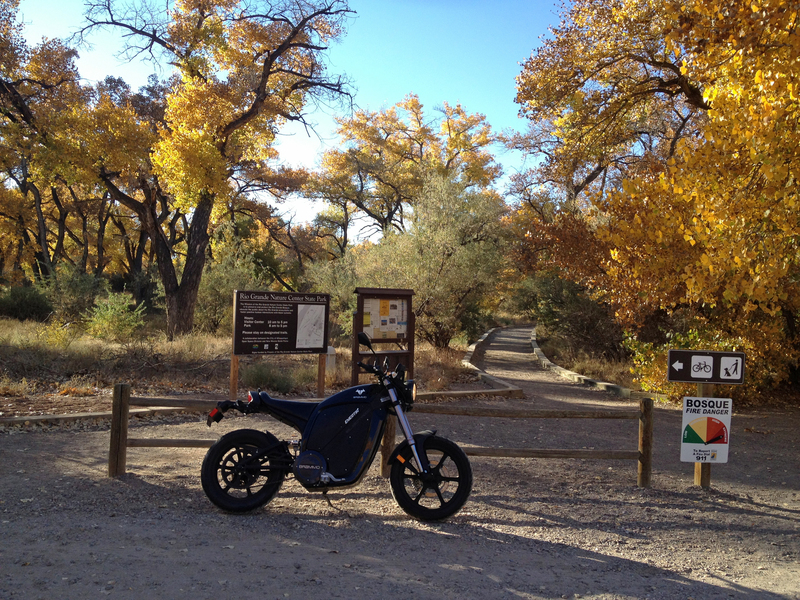 And, since it is Halloween time, a few bonus images at the end….Non Brammo related, but fun. Down near the river looking East toward the mountain. 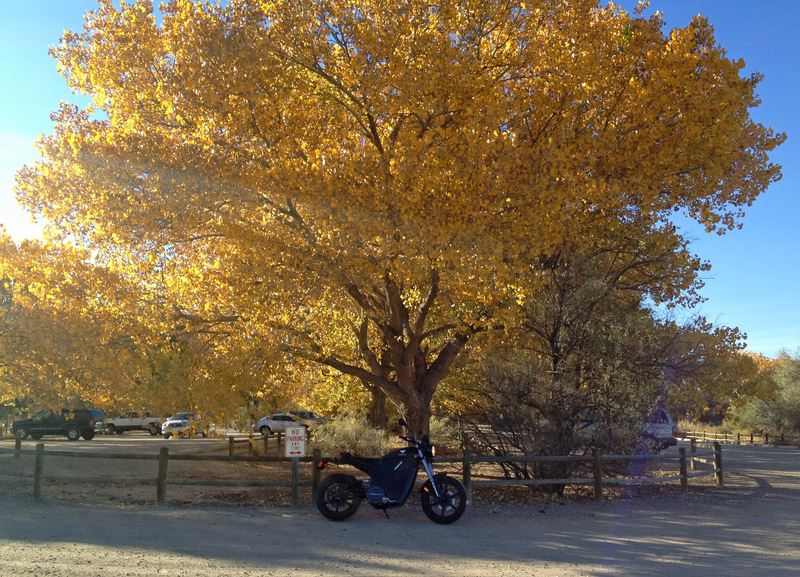 The Cottonwoods turn bright yellow this time of year. This path leads down to the Rio Grande Nature Center and the River. Anyways, try the first and if blocked, try the second. Till next time, ride safe. 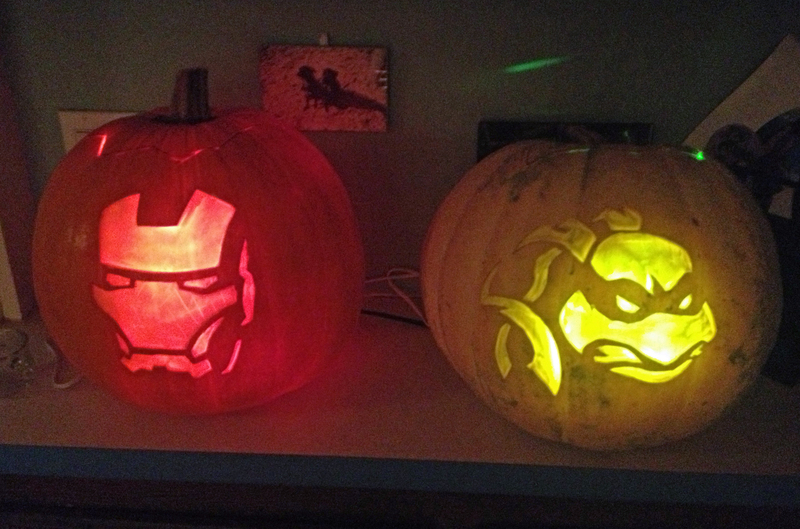 Ok, I did two pumpkins this year. I stopped carving and moved to scraping a couple of years ago. One Pumpkin is a traditional orange, the other is a white pumpkin. That pumpkin was HEAVY. 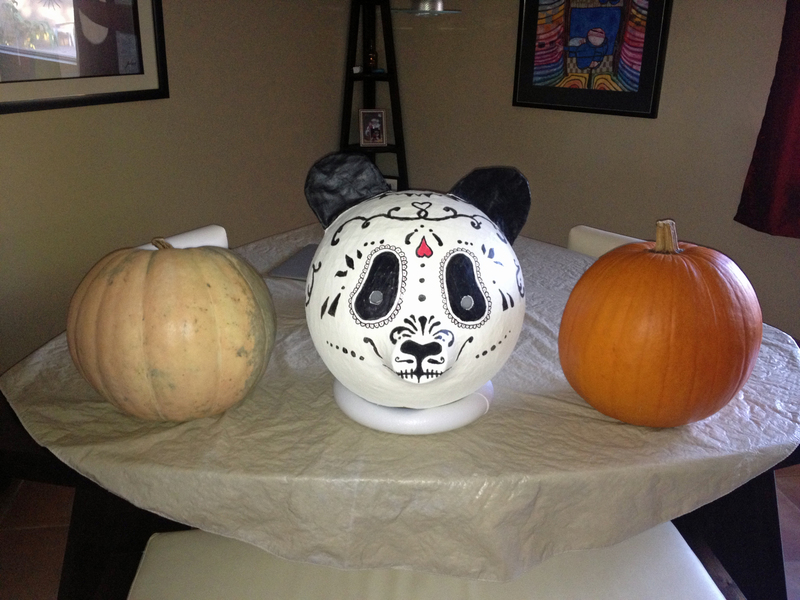 Next year I might try sculpting a pumpkin if I get one with as thick of flesh as that white one. For scraping a candle is usually not enough light (unless you scrap it really really thin. I leave mine a bit thick and use a light bulb. The orange got a standard 25 watt bulb…the white got a 25 watt green party bulb as the character is green. 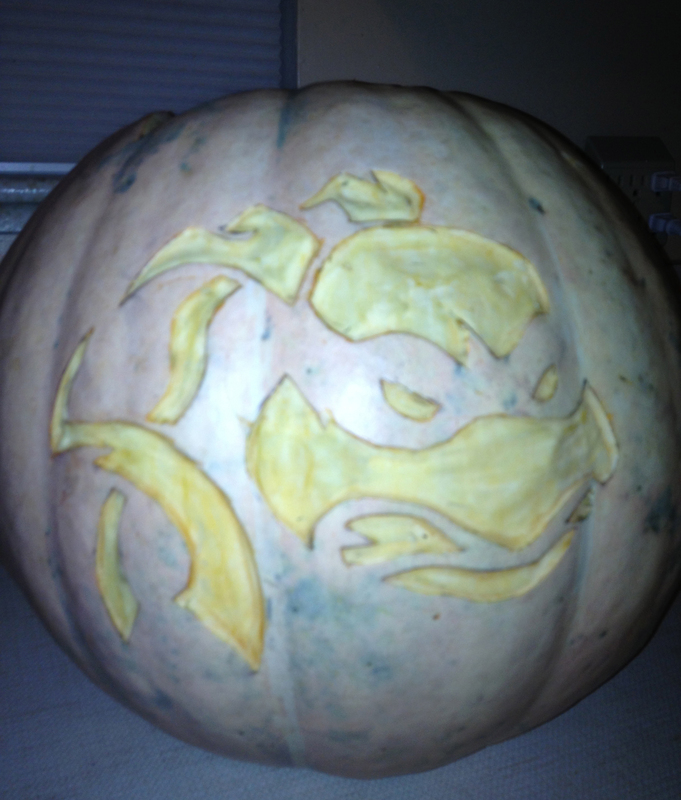 The White Pumpkin scrapped. Interestingly the white flesh smelled like cucumber, not pumpkin. 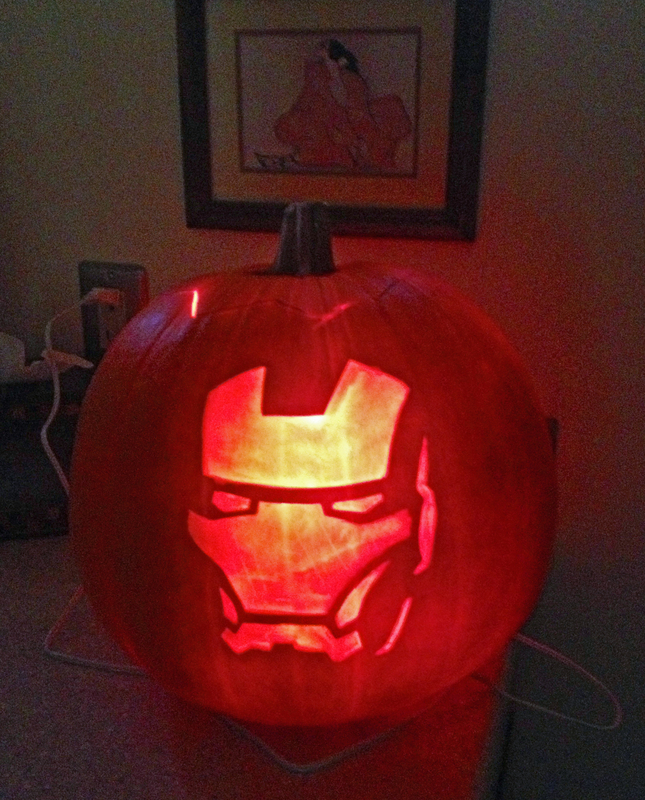 My niece loves Robert Downey Jr…so this was for her. And it was an easy design. White Pumpkin lit up. 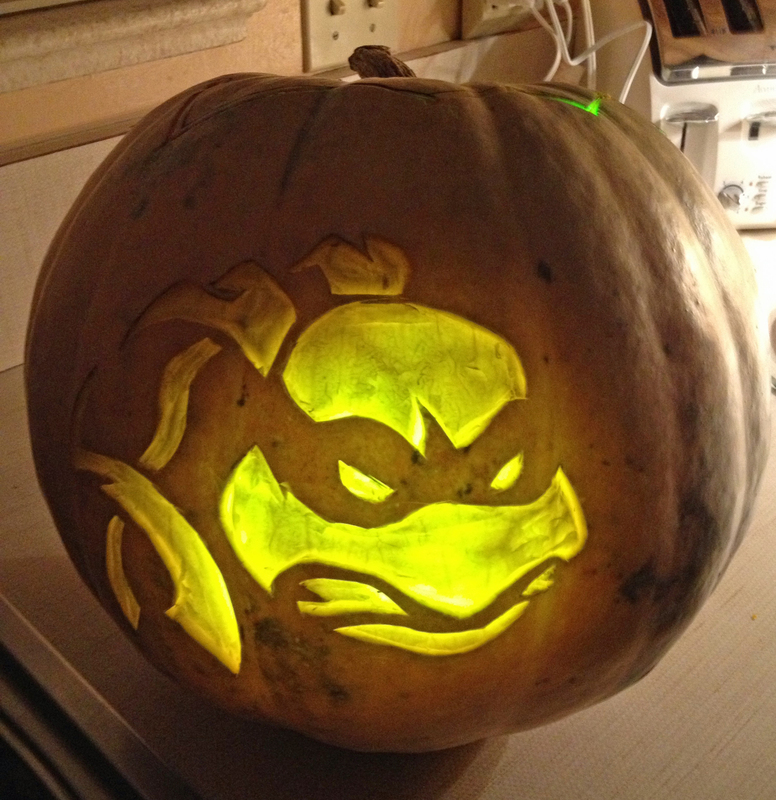 Both my youngest daughter and my eldest daughter’s husband love the TMNTs, so this was for them. Also an easy design. I was trying to make the “Duck Face in the Bathroom Mirror” photo that everybody posts on Facebook, but all I could pull off was Sad Panda. 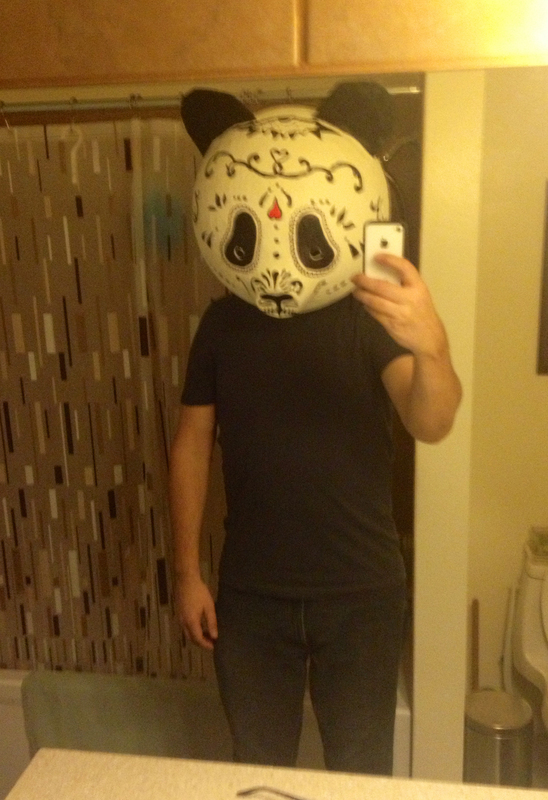 And while I am a good 10-15 pounds overweight**, I make a dang skinny panda…need a pillow next time. 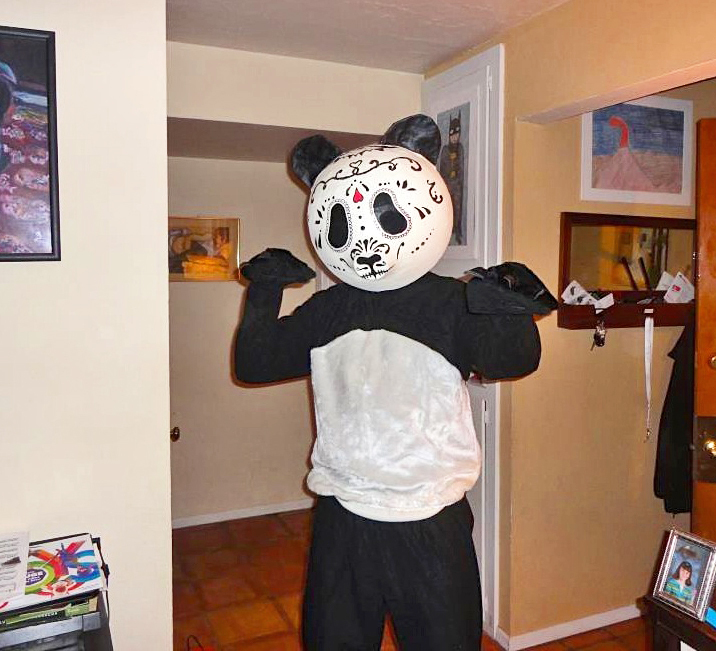 If I get up the nerve I might post the video of me dancing in the Panda suit (with my drinking panda head) after a bit too much tequila. But it is sooooo over the top that I might just sell it to a Furry Lovers site online.